The regulation, sale, and distribution of cannabis in Canada is joining the emerging industries of e-commerce, digital storytelling, and social media public relations in becoming a tertiary business course. “I am not aware of another course quite like this within Canada,” said Professor David Cram, who teaches ‘Special Topics in Management: The Business of Marijuana,’ in an email. Okanagan College’s School of Business is preparing students to join Canada’s booming cannabis (or marijuana) industry ahead of its scheduled legalization on July 1, 2018. When the program began, 40 students were registered in the elective course. “The course was full from the start and attendance has been consistently strong,” said Cram. “When the Federal Government indicated that they were going to end prohibition and legalize recreational marijuana, there was going to be a new industry created overnight. B.C. has historically been an area where the black market has thrived,” said Cram. He went through an extensive process to design and approve the course. 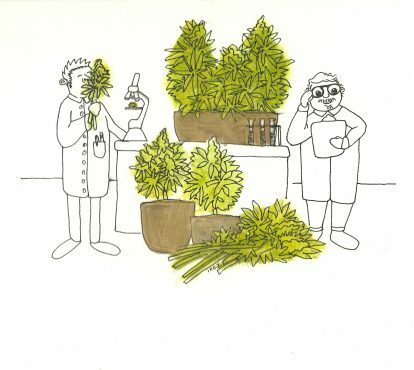 Over the term, third and fourth-year students have gained unprecedented access to the inner workings of the cannabis industry, and have covered how legalization will impact the health, tourism, and law enforcement sectors. 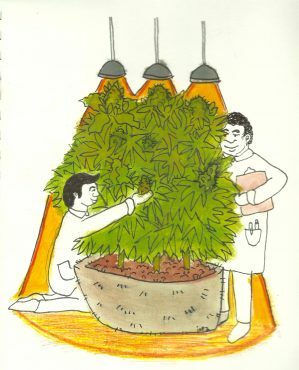 However, this course is not designed to breed street-level weed dealers or ‘growers’ (those who produce from farms), nor to teach store-front operations. “I’m not trying to make students into ganja-prenuers” Cram told KelownaNow on the day of the course’s launch. The Okanagan is an ideal location for learning the weed business due to its proximity to Victoria, B.C.’s medical marijuana capital. Victoria boasts one dispensary for every 3 800 people in the city center—a higher concentration than even Vancouver (where in 2015, pot shops outnumbered Tim Horton’s outlets in the city). “Canada is set to become the world’s weed dealer,” declared Toronto journalist Justin Ling in October, slating the country as the world’s first legal recreational marijuana market. A 2016 study by the Deloitte consulting firm estimated the legal recreational cannabis market valued up to $22.6 billion — ”eclipsing combined sales of beer, wine, and spirits” in Canada. “When legalization occurs, a switch is turned on and prohibition ends. A multi-billion dollar industry is created overnight. Smart business people will want to be ready and be proactive,” Cram said. “Overnight, we will see a significant increase in economic activity, employment, and taxation as the black market is diverted to legal business,” he continued. “Overall, we will experience harm reduction as users will be decriminalized, educated, more inclined to get help if they need it. Product safety will be improved and research efforts initiated.